When creating or modifying forms at run time, you can include region headers for sections that are based on design templates. These headers improve the readability of forms that contain multiple regions. 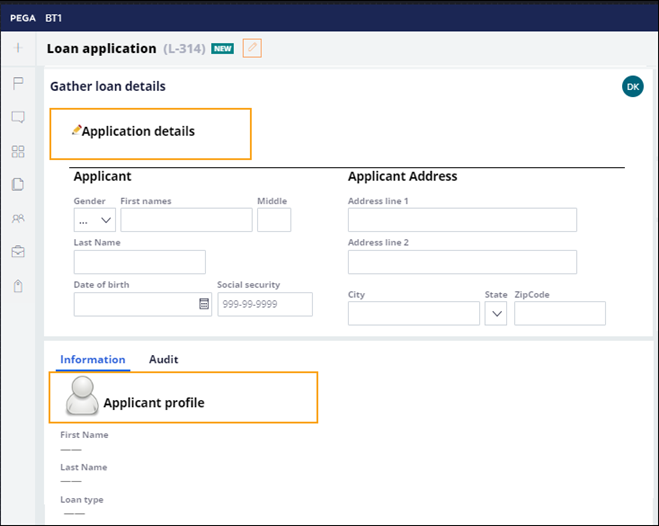 For example, you have a loan form that contains one region for collecting application details and another region that provides summary information about the applicant. You add a header titled Application details for the first region and a header titled Applicant profile for the second region. The following figure illustrates headers on a form. 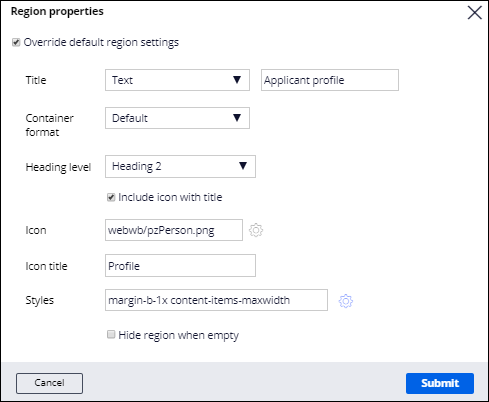 When you add a header to a region, you define a title for the header, select a container format for the header, add icons, and select styles for the header. The following figure shows header properties. For more information about creating sections based on a design template, see Creating a section based on a design template. For more information about configuring a region at run time, see Configuring a region at run time.